Other times, I give in and decide to visit those places myself- and typically, they don’t disappoint. 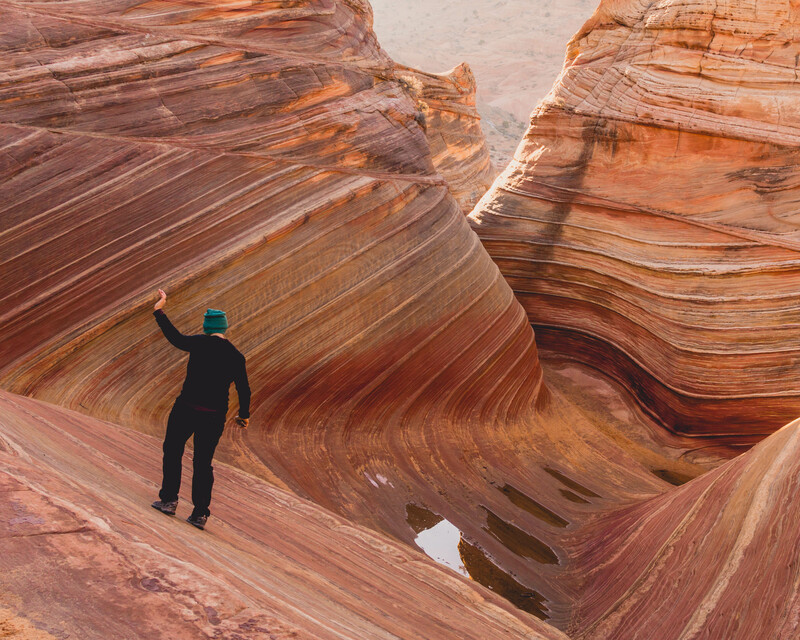 I’ve decided some destinations are popular for good reason– because they’re really flipping cool to see in person! 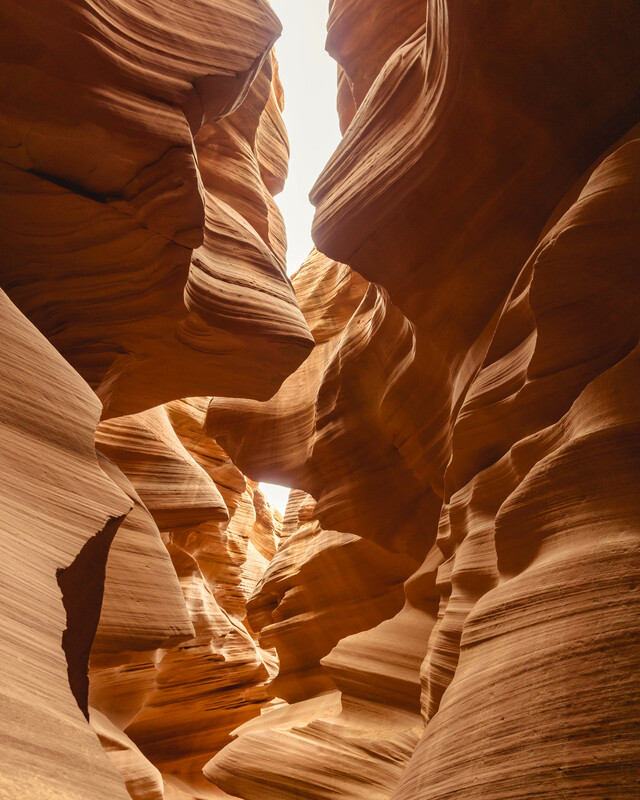 This trip was focused on three popular spots- Horseshoe Bend, Antelope Canyon, and the Wave (the latter requires permits to visit, so at least you don’t have to worry about crowds in the event you are lucky enough to score one). Only 20 permits are allotted per day- 10 that can be obtained through an online lottery in advance, and 10 that are given from in person applications. I applied in August for my December date and was happily surprised to receive an email letting me know I won a permit, which was the initial motivating factor for planning this trip. More info on the permit application process and timeline can be found here if interested. After doing some research on my route, I found some other neat areas to visit as well as a campground that sounded appealing, so I packed up my Subaru for one last road trip together (and perhaps my best solo road trip to date). Keep in mind there are certainly many other interesting locations to visit in this area that aren’t mentioned here, I was just doing what I could with four days worth of time (including driving from/ to Vegas). 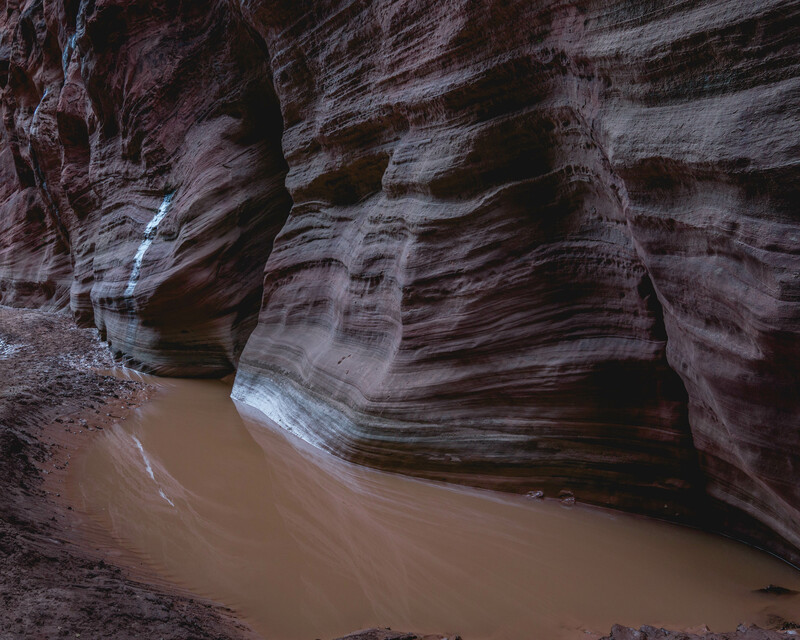 Next up, a stop at the infamous Horsehoe Bend, where visitors can walk an easy .5 mile trail to witness the Colorado River gracefully curving through the bottom of Glen Canyon (making a 270ish-degree curve and creating an almost perfectly symmetrical horseshoe shape). A frequently photographed location, I kind of had an idea what to expect; walking to the edge of the steep cliffs that border the canyon, my expectations were completely blown out of the water- the canyon was deeper, the water more vivid, and the landscape more dramatic than any picture. Even better, walking around the rim it was easy to find quiet spots away from other people to soak in the magnificent views. When planning this trip I had researched different campgrounds, and decided on Lone Rock Campground because of it’s convenient location, and waterfront views. Arriving after dark I drove along the sandy beach, which is really neat until you realize you have no clue how close the waters edge is and that maybe you should be a bit more cautious. Setting up camp, I knew it was going to be a pretty location, but the views I woke up to in the morning were still a surprise. Not another person in sight, the sunrise reflecting off the water of Lake Powell, cliffs and mesas silhouetted against the rising sun… totally awesome. I’d imagine in warmer weather this area is far more crowded, so I’ll count myself lucky to have had it to myself this night. 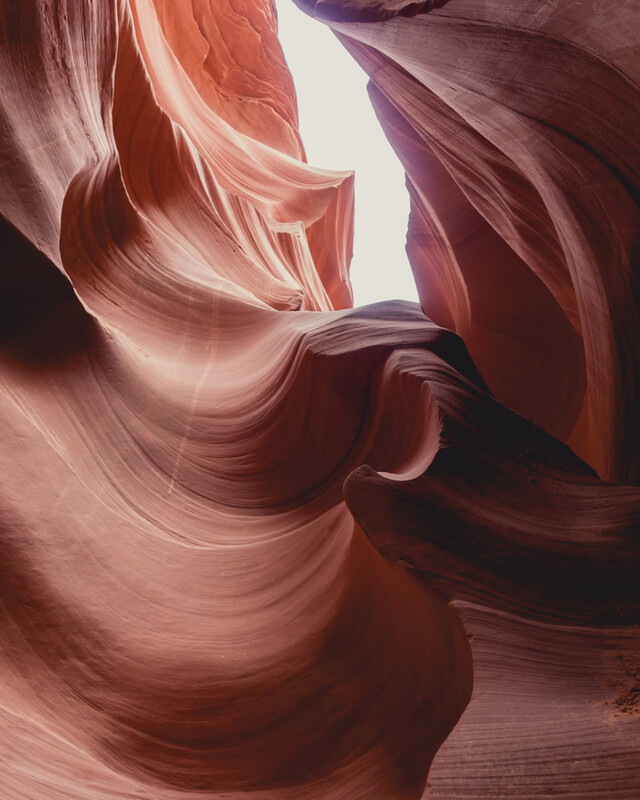 Possibly one of the most photographed slot canyons in the world, Antelope Canyon is located on Navajo land and requires a guided tour to access. 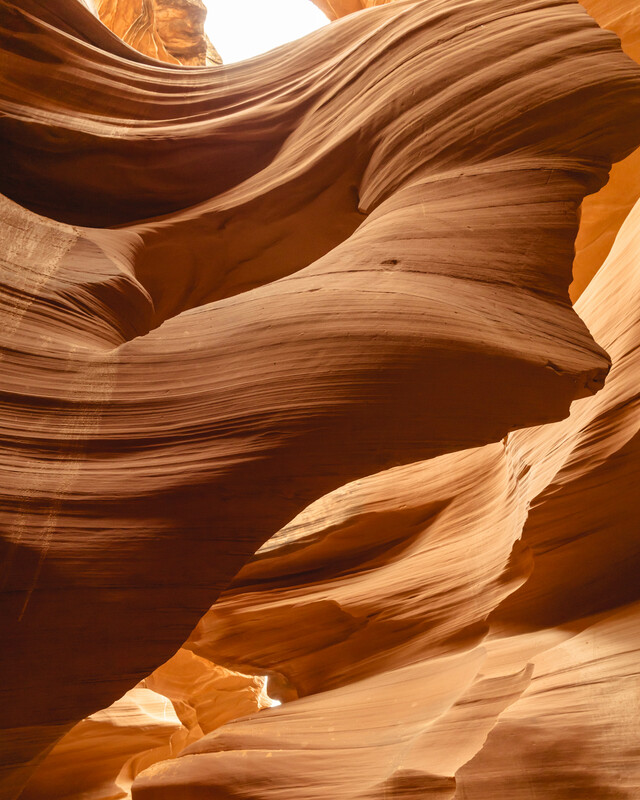 The canyon is separated into two sections, referred to as ‘Upper Antelope Canyon’ and ‘Lower Antelope Canyon’. 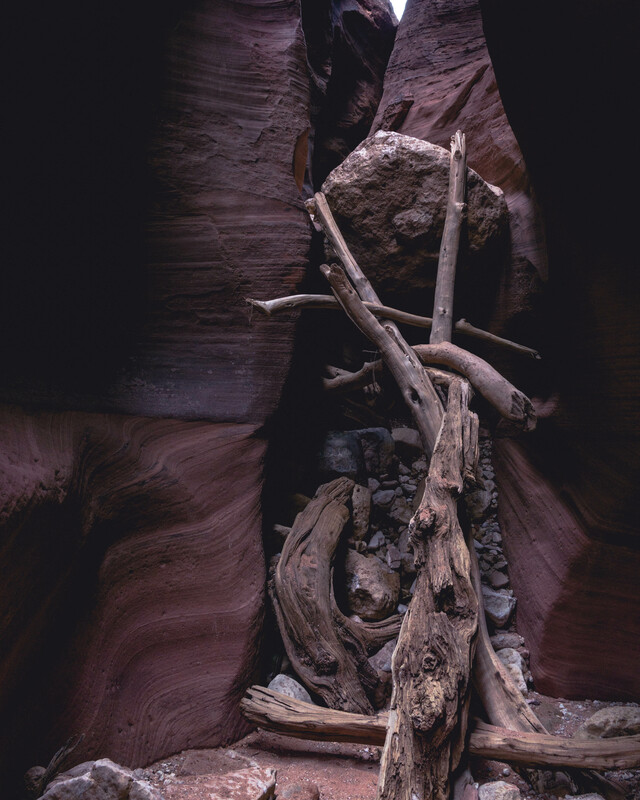 For the record, I extremely dislike guided tours and normally would avoid partaking, but pictures of Antelope Canyon looked so unique and beautiful I had to check it out (I chose to visit the lower canyon). Worth it- aside from the fact the canyon was amazing to walk through and check out, the guide was highly knowledgable and pointed out many features and formations that may have been overlooked otherwise. 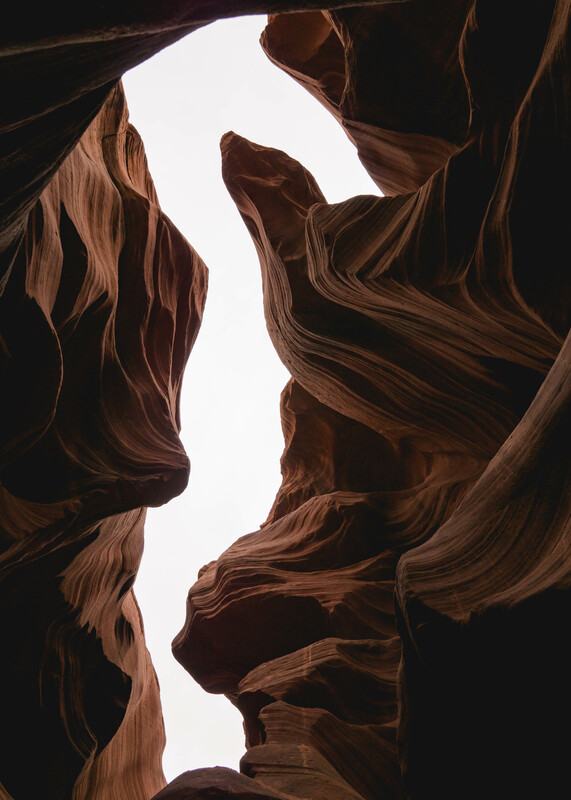 The swirling sandstone walls form new shapes and designs, altered by where you are standing and what angle you are viewing from. 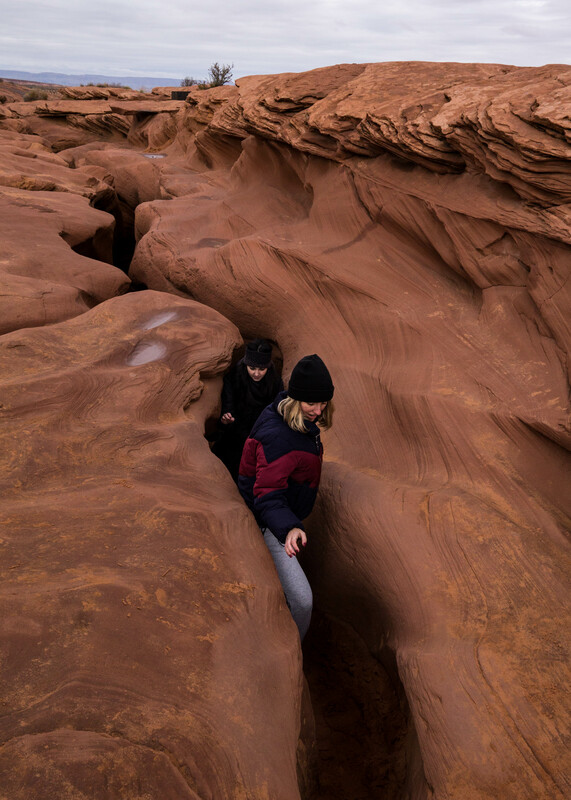 Glen Canyon National Recreation Area covers over 1.25 million acres in Arizona and Utah, offering unlimited opportunities for fun on both land and water. 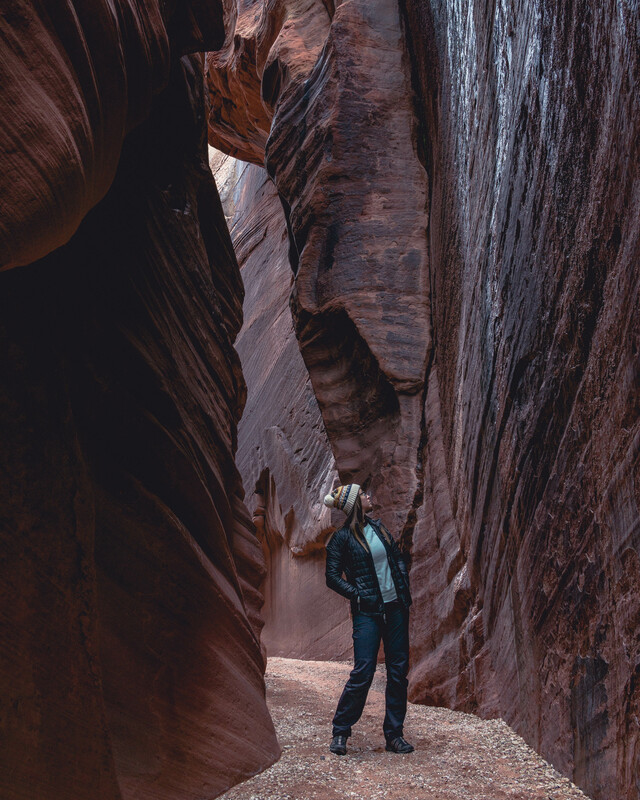 Included in this is Lake Powell, one of the largest man made lakes in the U.S. Aside from enjoying my lovely lakeside camping spot, I spent some time meandering around short trails in the area, appreciating the diverse landscape and solitude gained with no other hikers around. 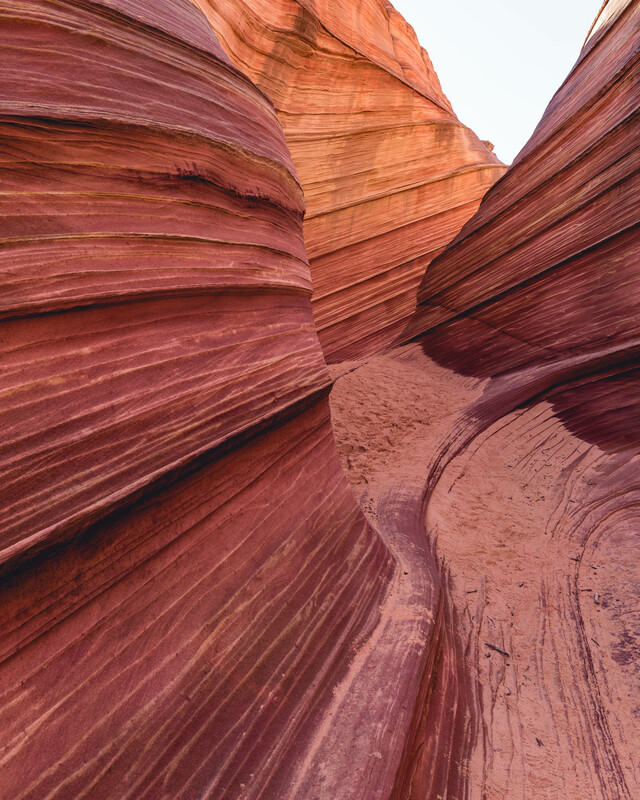 ‘The Wave’ is a geological wonder formed from vividly colored sandstone, located in the Paria Canyon-Vermilion Cliffs Wilderness Area. Previously I had decided I was going stay out at the Wave until night time, simply to witness the view at night with a starry sky overhead (with the new moon, that’s a hard sight to pass up). So, I was biding my time in the parking lot, drinking some spiked eggnog because, ’tis the season, lounging around… and then a ranger pointedly suggested I get moving, or else I’d miss seeing all the vibrant colors of the Wave in the afternoon sunlight. Thanks man, good save in retrospect. The hike out to the actual Wave area is really neat, the directions given when you obtain your permit use various landmarks in the distance to direct your path (however, not so fun in the dark). According to my GPS it was almost 3 miles one way. Smaller than expected but nonetheless impressive, the Wave was one of the coolest natural formations I have visited. The surrounding area is equally unique and worthy of exploring. Waiting for the stars to come out was extremely difficult for me- perhaps it was the solitude, combined with the mysterious landscape, but I was mentally freaking out and had to force myself not to run back towards the trail as the sunlight faded into dusk. The hike back was one of the most nerve wracking hikes of my life- thankfully I had mapped my route earlier and could follow that path back using GPS- because, surprise, a dark night with no moonlight makes it extremely impossible to follow a trail with minimal markings aside from distant rocky landmarks. I distracted myself by singing the “99 bottles of beer on the wall” song…and for the first time in my life, made it through the ENTIRE song, down to one lonely bottle of beer on the wall. 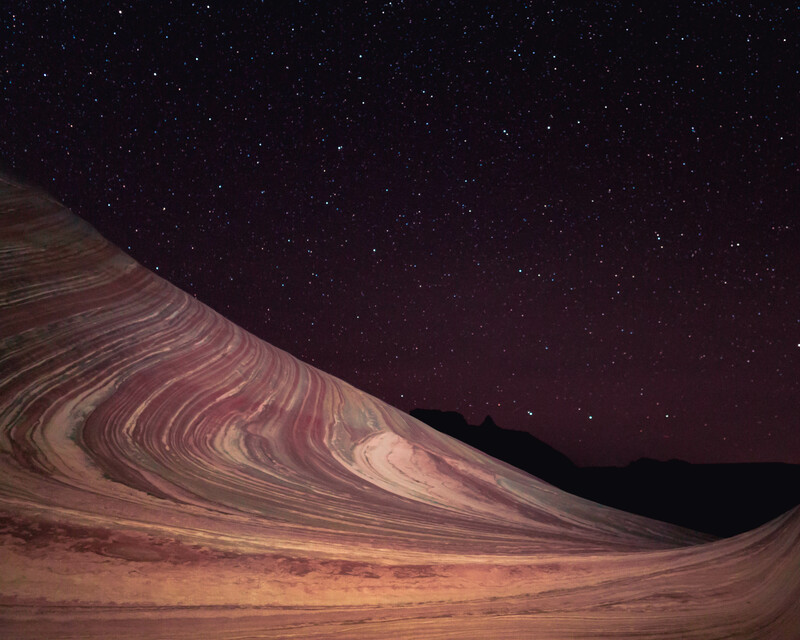 Worth the anxiety, the view at night was surreal- I wasn’t entirely convinced I was still on planet earth. I’ve been to Utah’s first national park before, so I already knew what a scenic stop it would be on my way back to Vegas the last day. What I underestimated is how many people would NOT be there mid December! One of the most visited national parks in the U.S., it was such a treat to be able to wander around all day without the normal crowds of tourists and shuttle busses buzzing around. Some of my favorite hikes here are Angel’s landing and the Narrows, but this day was spent doing some smaller hikes and taking the time to slow down and enjoy the scenery. Quiet, peaceful, beautiful day well spent. (Zion is still awesome to visit in busier seasons, I just wake up extra early to beat the crowds to all the cool spots). Perfect way to end the evening? Standing over the Virgin River before sunset, beer in hand, as the lingering sun lights up the Watchman in the distance. What a fun (although short) trip this was! Visiting these popular destinations in the “off” season was the BEST- colder temperatures and less daylight are a small price to pay to have no crowds and an undisturbed, more relaxing experience. 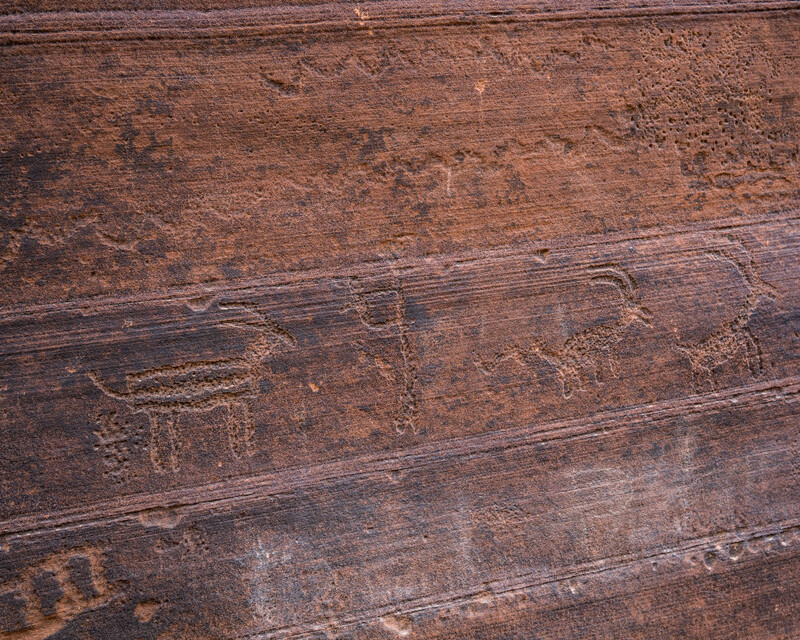 The American Southwest has so much to offer, this is just a small example of the adventures to be had out there! Don’t just take my word for it, plan a visit and see for yourself (I’m confident you won’t be disappointed).